A year ago, very few of us had even heard the term microbiome. Even those of us who work in the field of nutrition have recently discovered a whole new area of science that we knew very little about up until 12 months ago. You may have noticed an increase in articles appearing in newspapers and TV programmes discussing the microbiome and offering us advice on how we can achieve the right balance. So what is the microbiome and what is all the fuss about? When your gut microbiome is balanced, you stay healthy, your mood is improved as are your energy levels. When your gut microbiome is out of balance, you are at risk of developing health conditions. 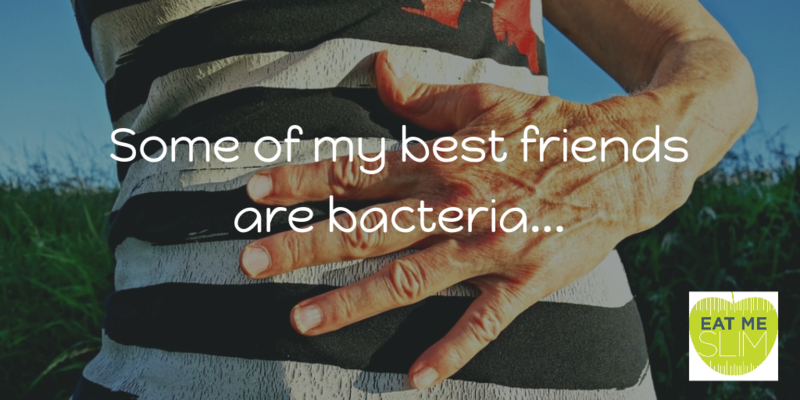 Unfortunately, an unbalanced gut microbiome is very common today. Diets high in processed foods and sugar, stress levels, and rounds of antibiotics lead to impaired gut health. Scientists have discovered that we are in fact only 10% human. Only 10% of our body is made up of human DNA. The remainder, a staggering 90%, is our microbiome; our bodies ecosystem. And 75% of our microbiome is stored in the gut. Have you ever heard of the gut being referred to as the second brain, or having ‘gut feelings’? A worthy title when you consider that the gut not only contains the majority of our microbiome but also has more neurotransmittors than the brain! Scientists are extensively studying the microbiome and it’s impact on many health conditions. Scientific studies are being performed in the areas of weight loss, Parkinsons Disease, autism, depression, skin conditions and IBS, to name but a few. So how do we achieve the correct balance and restore our bodies ecosystem? The good news is, that like many areas of health, changes in diet and lifestyle can redress the balance and improve the health of your microbiome. Eat the right foods. Your gut microbiome responds to what you feed it. Cut down on or eliminate refined sugars. Your bad bacteria thrive on sugar. Don’t give them a helping hand to flourish! Get your carbs from veggies. Eat leafy green veg. Be sure to get a balance of healthy fats and protein with each meal. Take steps to reduce stress. Many studies have shown how stress can negatively impact the microbiome. Consider a supplement programme to reduce the bad bacteria and flood the body with the right balance of pre and probiotics, allowing the good bacteria to thrive.